Amazing live music. Incredible yin inspired yoga. Pimpin' goodie bags. Welcome to the VIP Stretch Summer Sessions! You're invited, and we can't wait to hang with you! Join us Saturday November 14th at 4:30pm for a blissed out yin inspired yoga class to live music. Grab your amazing goodie bag with products from some of Australia's leading wellness and natural health brands (worth over $400!) and then treat yourself to a bevvy of natural treats and drinks. Places to this exclusive free event are strictly limited, and RSVPS are needed by October 30th. 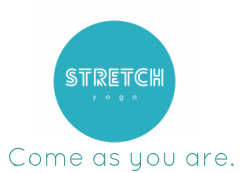 We can't wait to show you Stretch Yoga's newest studio and introduce you to Brisbane's fellow wellness elite!